Lenovo is a leading provider of x86 systems. 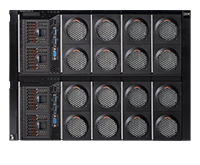 They have the industry's broadest portfolio of System x and ThinkServer rack, tower, blade, dense and high performance systems that meet the needs from small office all the way up to the most demanding compute and analysis data center requirements. Lenovo's portfolio provides industry leading performance and security with the best storage, memory, and IO capacity. To learn more about Lenovo servers and to consult with a solution architect, contact your Zones account manager or call 800.408.9663. The Lenovo Converged HX Series integrates software from Nutanix, the market leader in Hyperconvergence, onto Lenovo's highly reliable, expansive and scalable servers. 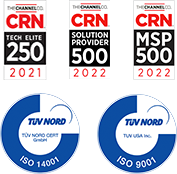 The flexibility of the fully integrated and tested compute, storage, and preloaded virtualization management software enables easy scale-out clusters to support your business growth, while reducing your infrastructure maintenance time and costs. Lenovo offers a comprehensive 1P and 2P rack and tower portfolio that offers focused innovation combined with outstanding value. Feel confident in Lenovo's performance servers providing best-in-class feature sets, their mainstream server models giving the best price to performance balance, and their entry servers for departmental, distributed enterprise, and SMB environments. 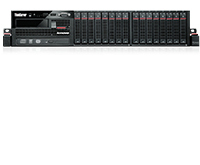 Lenovo high-end 4P and 8P servers are built on X-Architecture technology, with decades of mainframe server design. Lenovo's high-end enterprise rack servers deliver an open and affordable, industry-standard server platform that can help tackle the most demanding, large memory workloads. Lenovo Flex Systems brings the newest blade architecture to the Lenovo portfolio and allows the management of virtualized resources as standard building blocks. The new Lenovo Flex is the ideal solution when you need to manage CAPEX and OPEX by deploying consistent hardware and software solutions, need to create rapid workload deployment scenarios, and need the maximum workload availability to eliminate downtime.